My journey on the Ketogenic Diet actually began a few years ago when I had lunch with a woman whose son was an epileptic. This poor child had up to 400 seizures per day! She told me an amazing story of struggle, heartache and pain that they endured going to doctor after doctor and even being advised to institutionalize this boy. Then they found out about the Ketogenic Diet and he has been seizure free ever since. Sadly, he has some brain damage from all the seizures, but he functions enough to drive a car and have a job. That story stuck in my brain for some time and I even wrote an article called The Ketogenic Diet Therapy on an info website. But in my mind, this diet, with it’s very specific ratios, was a medical therapy and at the time, I didn’t think it applied to someone like me. Although, when she described it to me, I do remember thinking it sounded like a super low carb diet and perhaps someone could lose weight on it! So fast forward to August 2013. I had a knee injury that would change my life and not in a good way. Through all the doctors appointments, pain, being on waiting lists to see a knee surgeon, waiting list for an MRI, having surgery and then even more pain and now back on the waiting list to see the surgeon again, I developed a good dose of depression. And along with that depression came a significant weight gain. When I topped out at my almost highest weight ever (see pictures below), I guess something clicked and I knew this was it. I started looking at low carb diets because they are the only thing that ever worked for me in the past. I am a middle aged, metabolically challenged woman. The weight does not come off easy! Plus with my knee still causing me great pain, my exercise options are limited and I am just not getting enough of it. So I started off by following Jorge Cruise’s 100 Diet. I think it’s a very good diet, very low carb and I lost 6.5 pounds the first week. But it was while I searched for recipes on line that I came across blog posts and information about the Ketogenic Diet again. Only not for epilepsy and cancer, but for weight loss. I was intrigued and read everything I could find. So then I switched gears and started on the Keto Diet road. All of the articles I found were written by men and bodybuilders, and showed pictures of plate sized steaks and I wondered if this would turn away women like me. I don’t know, but I was inspired to document my journey here and hope it helps somebody. As a person who has struggled with weight issues all my life, sometimes we just need hope! My plan is to not only document the journey, but to share recipes here that are both low carb and ketogenic friendly, as well as keep up with the latest news and science and share that here as well. I will also do book reviews as I get a chance to read and study what is out there. And this is about halfway and where I have been stuck now for awhile! Another thank you from someone who is grateful for your recipes and other supportive info. I am 67, and a little over a year ago, I too was at my highest weight ever, after two different surgeries and too many meals out! I have always been aware of diet and food, and watching my weight. Back in the mid 70s, I read Dr. Stillmans Quick Weight Loss Diet (basically, meat, eggs, and cottage cheese, and 8-10 glasses of water). Then, Dr. Atkins came along, and I adjusted to 2 salads and removing the cottage cheese. 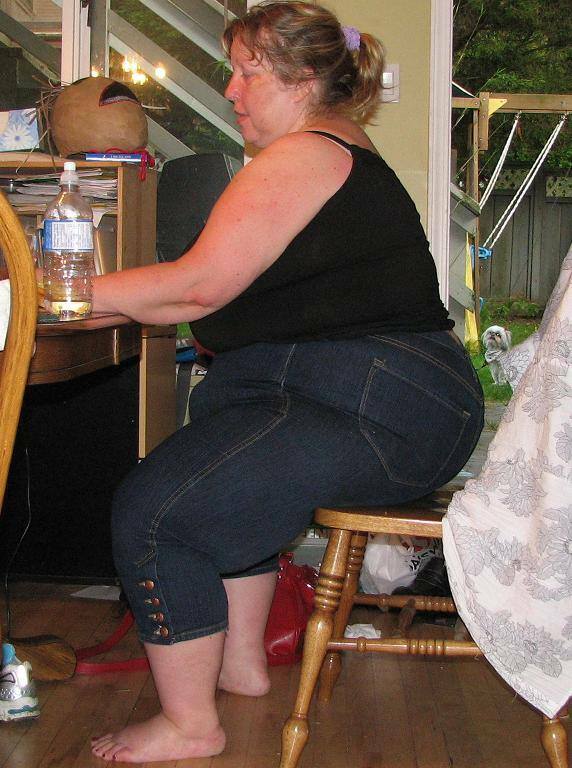 Lost my excess weight after children, and pretty much kept it off until I turned 50. I love low-carb rather than attempting to do low calorie and its always hungry and deprived feeling. LC is easy because once you get used to no bread or potatoes, it really is a fulfilling way to eat. Now, it appears that the low carb – high fat has become scientific, and lots of devotees, so I am taking advantage of your wonderful recipes. So far, in the last year, I have lost 28 lbs. It is not coming off as fast, but now – you have opened up a whole new area to discover: the egg fast, and the IF. So hope is rising again, for my continued weight loss, since my goal is 140 (not the 150 I now am). I remember Dr. Stillman’s diet! Thanks so much for stopping by and telling me about your success! My readers like you inspire me so much! Love your website, thanks for all the info and help. 15 days into my Keto diet and have lost 5kgs (11lbs). I have at least another 30kgs (66lbs) to lose, but I feel so much better already; lively, energetic, and very motivated. That is awesome, so good to hear! Keep up the great work! 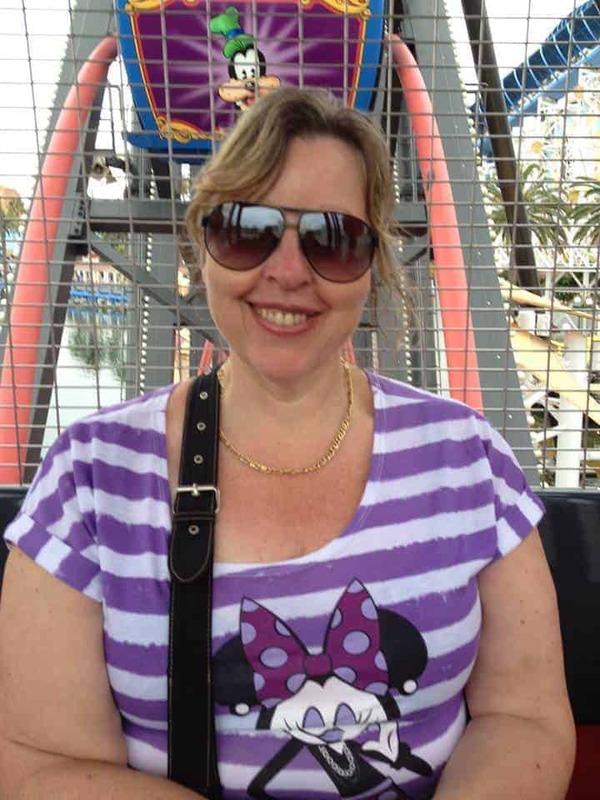 Hello Ketowoman, I’ve recommended your site since 2015 when I discovered it!! Today I came for recipes- and delighted to find the lemon cheesecake one! Back when i began LC I observed people were so impressed with your beginning a journey to lose 100lbs on keto- AND on your own, and were PUBLICLY saying so! I am older than you, already overweight, then a car accident in 09 AND a mild stroke 3 years later slowed me even further. I did use Dr. Adkin’s in my 20s and was dissuaded by everyone, DH, family, etc. but it was what my immigrant Polish mother fed me all along…quality meat and veggies, no ‘starch’, little dessert, ever. Everyone “KNEW” in the past that you don’t get fat if you avoid potatoes and pasta. …and it was whispered in the 1950s French women stayed slim on the fattest calorie laden foods in the world…all that cheese, cream. butter, foie gras, but by skipping the delicious bread entirely! Now I fast forward to almost age 70, wiser yes, but still fat from high ‘carb diets pushed by MDs, RDs, school nurses, etc etc for 40 years. DECEMBER 2018- I began again with stricter LC 20 days ago and added intermittent fasting–just eating in a 2 hour window each day, so 2/22. from 9am-11am Coffee with heavy cream, then eggs, or turkey soup, or steamed veggies with cheese, and cream cheese with macadamias…all the foods I love. I thought I could never fast even 12 hours, but I was determined as LC didn’t work for me anymore. And now, less than 3 weeks later, I have lost 16 pounds..and am stunned. Seriously stunned! almost a pound a day! Thanks to ALREADY being ‘adapted’ on a LCHF regimen -not Keto yet- I had a goal to get under my normal too high ‘set weight’ by Dec 31st..and I made it on Saturday the 22nd! While not eating for a stretch of hours is difficult, yes, to tolerable,as those hunger waves come and go, I sip tea with stevia, and with limited gardening for exercise. Just sharing a (LONG) story… but by delaying trying intermittent fasting for so darn long because I thought I couldn’t do it ?? Like you it’s hard to got past the doldrums of plain LCHF/keto and slowed results. Best wishes for the new year. PS-there is a lot of info on IF by Dr. Jason Fung, who helps obese and very ill diabetics to turn their health around, reverse diabetes and get off the many insulin drugs. What a wonderful Christmas gift your comment is! Thankyou so much for sharing your story. I too have been dabbling with IF and agree with you that it is so much easier than I thought it would be! You’ve given me an extra boost of inspiration to get through this holiday season! Best wishes to you for 2019! I need some help with the basics. What foods to eat, what foods not to eat. I want to loose 20 lbs but I do not eat carbs now, and i eat lots of fruits, veggies and protiens but no fats in my diet. I normally sustain my weight within 5 lbs. 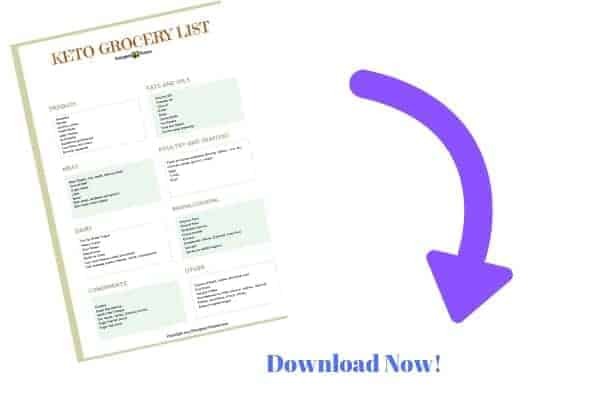 Every blog I look at says the basic and the recipes but I need the basics the heres the foods you can eat, heres the foods you cant kinda thing. I dont mind buying a book but which one? My email address is there if anyone wants to email me the basics or a book they recommend. If you are eating fruits then you are eating carbs. The basics of the keto diet are fats and proteins with greens. You will seldom see a keto person eating fruit and if they do it’s a rare treat of lower carb berries. If a book will be of help to you I have recently read The Keto Diet by Leanne Vogel and I can see it becoming a reference bible for people starting keto, it is very complete! Good luck! I am over 50 and reached my goal of 40 pounds sheds, without any serious exercise. I have been Ketogenic for close to a year. Don’t get discouraged, the scale will go up and down when fat converts to muscle. Use a calculator that will tell you exactly where your macros should be. I’m so happy to hear that! Keto on! I am truly amazed at all the various conditions that going keto seems to help people solve! When I think back to visits to my Gramma’s farm in the Prairies, they ate much like I do today! And they were so healthy. Eggs, bacon, butter and veggies from the garden, no processed frankenfoods. Makes you wonder what we have all done to ourselves! aww thanks! I feel bad for not posting much lately, my life has taken some weird turns! So what’s a good creamer on this diet right now I’ve been using coffemate French vanilla? An I’m one of those people who have to have creamer. Ok I’ll try it thank you. I can only drink coffee with creamer – and when I went Keto, I found that canned coconut cream is a good substitute. I refrigerate the can, and when it’s solidified I whip it with my mixer on high, adding in a Tbsp of vanilla extract and a 1/4 c. of powdered sweetener (monkfruit or erythritol). It’s a nice way to have a “vanilla” creamed coffee. Thanks KetoWoman for sharing your story and recipes! That sounds like a yummy way to stay dairy free! I wouldn’t do it, cream is a common weight loss staller. You can review the egg fast guidelines here. Good luck! I can’t tell you how thrilled I am to find your site. I lost 36 lbs four years doing Atkins for 9 months but slowly went off. Since then, I gained all but about 7 back. I need to lose about 65 lbs. I gained most of the weight in my 40’s, having struggled with 10-15 lbs for years before that. Early 50’s are not turning out to be any easier for weight loss! A couple of weeks ago, my husband’s doctor sent him to the nutritionist who counseled lots of fruits and veggies (50%), 25% “healthy carbs,” and 25% lean meats. I tried it with him for a week and gained 2lbs. Now, I’m going full-keto. After only a few days I feel better and have lost several pounds. Best of all, even though I wasn’t a bread or wheat eater, my joints feel better. I’m loving reading your recipes as well as the comments from all the other 50+ ladies (and younger!) here. It is a real encouragement. Thank you for your website! so happy when I hear stories like this! Whenever I stray away, even just for a few days I can definitely feel the difference in my joints. Keto is anti inflammatory for me and I’m sure for many others as well. We just don’t feel it as much when we are younger and can assault our bodies without consequences (at least we think so!). I love how I feel on keto. four years *ago*. Sorry, can’t edit! Just found your post on egg fasts and am going to try it (I’ve been stalled for almost a year!) And I noticed in another comment you said you’re in BC near the US border… I am too, I wonder if we are in the same town! Small world ? haha, it sure is! I’m in Langley and I cross the border at the Aldergrove crossing. I have to say I love your site. I have 150 lbs to lose and I am on my third week. I did not weigh in cause I have a hate relationship with scales but going by how I feel I love it! I suffer from chronic pain from inflammation and was diagnosed with lupus close to 20 years ago. The energy I have gotten back is making me know this is the way I need to go. Also the joint pain has been cut in half! Thanks for all the wonderful info and recipes to help me on my journey. These are the stories that I love to hear! Don’t ever give up! So many of my aches and pains, such as plantar fasciatus just went away! All the best to you! Well I haven’t quite lost it all, it gets harder as your weight gets lower. But I’m super happy where I am compared to being over 300! Egg Fast for a month is pretty challenging! Maybe start with 5 days EF and 5 days transition. On the transition days go ahead and have the gelatin, I completely get why you are having it. Good luck! Help!! I’m trying not to get discouraged but it’s been hard. My info: Female, 61 yrs old 185lbs I started Keto diet on Dec 1st (my boyfriend also started with me. He has lost 21lbs and I’ve lost 2lbs. On week 3 weight in I was down 7lbs but I have slowly gained 5lbs back. I am following the same diet as BF and we are doing the Diet Doctor recipes and menu (20 carbs or less) I have the strips and seem to go in and out of ketosis. I am wondering if my thyroid med or BP med has anything to do with this. I tend to retain water easily and last night had chicken soup so maybe the salt was too much?? Do you have any suggestions ? well, I am 59 now and our age does not help this situation! What keto/low carb strategies that worked for me 20 years ago, do not work for me any more! I have heard this over and over again from women who are middle aged and up. So I was stuck at the same weight losing the same 5 pounds over and over again for months. I did an egg fast just to see if things would move again and they did. I lost another 50 pounds by cycling through egg fast and keto. What I learned through all that was that even though I was staying low carb, it was no longer enough for me. I had to severely cut back on dairy (HWC and cheese). I don’t know if that would help you or not but I thought I would mention it just in case. The other thing that I hear from women our age is that calories do matter for us. I think this is true as well. We all love to say that when doing keto/low carb we can eat whatever we want as long as we stay below 20 g carbs. I don’t think our metabolisms can handle that. I wish it could and I am no scientist or doctor, but I hear this over and over again. I find that for myself 1400 calories or so is my tipping point. anyways, I wish there was a magic pill for you, me and everyone else like us! But I hope this helps for what it’s worth. Hello, trying to start this Keto Plan and having hard time synching “Diet Doctor” recipes with MyFitnessPal.com. I do want to track my calories…pls advise? You can enter the recipe right into My Fitness Pal, enter the # servings and it will figure out the calories and macros for you based on that. I am able to sleep sounder, have more energy etc… all this after only 11 weeks. This is a lifestyle I plan to stick with, I cannot fathom going back to the old way of eating. Thank you for sharing your journey – it does help those of us who struggle one pound at a time. Kudos! Wow, thank you so much for leaving this comment! I always love to hear from people who have struggled like me and have found a new lease on life with the healing power of lowering carbs and eating more fat! Keep it up! I’m a producer at NBC’s Today show. I’m searching for people who have tried the Keto diet -I’d like to interview them about their experiences. Congratulations! You are amazing. Unfortunately I can’t figure out how to follow your site. I guess I will have to bookmark it. I want to continue watching your progress. I started Keto about 11 weeks ago. My goal is to go from 154 to 120 and I am now at 139. I’m having fun creating recipes and trying some that I find online too. Even grocery shopping has become more enjoyable, like a treasure hunt for good stuff. God bless you. I love keto too! One of these days I’ll add a way to subscribe. I was trying to figure out the same. If you add a subscribe feature somewhere please let me know. So I have been on the keto diet for almost 3 wks. I’m in ketosis…for over a week now. iI’m healthy, take no meds, don’t really exercise. walk some,…i want to lose about 20-25lbs. I’ve lost 3 then gained 1 back! what am i DOING wrong?? There is just no way of knowing from the information given. Many people think ketosis means losing weight. But unless you are consuming less than what your body actually needs you won’t lose weight in ketosis either. Just throwing that out there, I don’t know if it applies to you or not. I have lost 10 Kg in 8 weeks, without being hungry and feeling great! I love the diet doctor! It’s my favorite site! Thank you so much for this story I am also a middle aged woman who was never heavy till mid life and now need to lose at least 50lbs. I have had some success with lo carb but I am now going stricty LCHF. i have read numerous articles, books and papers and started a week and a half ago. I am a good cook and just made your hollendaise egg cups amazing! Thanks and hope to follow you. Mmm, I was just sitting here thinking about what to make for breakfast and your comment came in. Sometimes I forget about my own recipes! Glad you liked it! I love to cook too. Best of luck with LCHF, you are going to feel great! I have just been very naughty after many weeks of car free eating. My biggest weakness is chocolate which is really bad as I am lactose intolerant. Now I feel ready to throw up and have a really weird metallic taste in my mouth. How can I get back to feeling normal quickly? I’m sure many people can relate to this. And it’s a tough time of year. Just get back up and start again, it’s all you can do. You’ll feel better after it’s all out of your system. I’m going now a month into Keto diet. I workout 5x a week doing circuit training (bootcamp). I keep my carbs 1200 or below as per recommendation from online macro calculator. I lost about 5 lbs the first 2 weeks but now, I’m at a plateau. The weight is either staying the same or I’ll gain 1 lb here and there. I have introduced intermittent fasting and still nothing. Any suggestions? I’m assuming you meant 1200 calories? Carbs should be below 20 for weight loss. 1200 calories might be too low with all that exercise too. It’s really hard to make any suggestions with knowing so little about you because there are so many variables. Height, weight, age, medications, hormones, foods, dairy, all of these things are a factor. I have been on the keogenic diet for 3 weeks and I absolutely love it. I am in moderate ketosis (ketostix) and losing weight. My only problem is that I can’t sleep. All the literature I have read says that I should be having 8-9 hours sleep, no problem. Well there is a problem – I can’t sleep. I have tried extra magnesium but it doesn’t seem to help. Any suggestions? I am sorry to hear that, I have not had that problem before so I’m not sure what to advise. Maybe some of the readers here will have a suggestion. And I assume you are not drinking coffee in the evening or having chocolate? Those things will for sure mess up my sleep. I do not know if you will see my reply, but I had this problem when I first started. I credit it to the idea at first your body is an inferno when it converts to burning fat. Instead of the ebb and flow of carb burning, when you are burning fat it is sustained over the whole day. Over time you will adapt. Wait it out, the reward for me is increased energy levels, and stamina that I have not had since I was a teen. Good luck, hang in there. Hi Julia, I am on Keto and have read quite a bit about this. Sometimes very low carb diets can cause problems with sleep which is why they advise eating carbs at dinner like sweet potato (not bread or other sugary carbs). This helps to relax your body. A couple of books you might like: The Bulletproof Diet by Dave Asprey and The Adrenal Reset Diet by Alan Christianson. Sometimes no matter what you eat you cannot lose the weight and that is due to your adrenals being overworked (too much cortisol which also causes poor sleep). I, too, had this problem at first, but it completely went away after a few weeks…just wanted you to know. I would read of everyone having wonderful sleep and wondered why I wasn’t a recipient of this…but it soon followed. Hang in there! I look at Keto as a way of improving health, with the side benefit weight loss. I didnt have much to lose, but still lost 24 pounds this year. Keto is amazing, and anyone spreading the word is good in my book. Great site I stumbled upon as I was looking for Keto meals for exercise. I heard do 3 days Keto and 4 days off. The latter to exercise. Well, I plan on 4 days a week exercise with Keto. Most important is my adult swim lessons where I need carbs for energy in the water. Any recommendations? Thank you! I have never heard of this 3 days keto and 4 days off. You will never get into ketosis like that. If you stay keto, after a few days of adjustment your body will be burning fat instead of glucose and carbs are not needed. But you have to stay on keto for that to ever happen. I don’t recommend going on and off like that. I saw your page on Facebook and began to read your journey. I have decided to start my journey and love the recipes you have. I have a significant amount of weight to lose and you are in inspiration to me. I am going to give it a try. Thanks so much! Glad to have you on the keto team! You will love it! Hi! Thank you so much for sharing your egg fast schedule, recipes and results. I need to get some mayo and plan on starting tomorrow. I requested to join your Egg Fast Stall Breaker group last night. Can you add me? 🙂 My name is Erin Hall. This is very hard to answer because I don’t know anything about you and keto means different things to each person you ask. So I’ll just list some of the things that slow down weight loss and maybe 1 or 2 of them will click with you. Age (as in the older you get, the slower the weight loss), hormones, medications, dairy, sweeteners, processed foods even if low carb, nuts, carbs too high in general, fat too low. Has anyone had or have any ideas on how to counteract the “female keto flu”? I have been doing the keto diet since May 2nd and I have not had a period in 5 years. But since starting the diet, I have already gotten it one and I feel like I’m about to get it again. Someone said the diet could bring on a heavier period and I have endometriosis really bad, the last few weeks have been hard to say the least. I’d be open to any ideas on how to counteract this without going off the diet. Thanks for your help! I have never heard this before! I hope you get some insight from someone on this. I would guess that you may have Polycycstic Ovarian Syndrome. I have PCOS and didn’t have a period for over three years. When I went on a low carb keto diet I got my period in FOUR days! It was really heavy and irregular for three or four months as my body tried to regulate itself. A keto diet is great for PCOS because the syndrome causes insulin resistance. The ovaries turn all that extra blood sugar floating around into hormones, which throw everything out of whack causing more insulin resistance, and so on in a downward (or upward on the scale) spiraling cycle. By cutting all the carbs and sugar out of the diet, the body ceases to have all that sugar floating around to be turned into hormones and the cycle is broken. My doctor was treating me for PCOS so I talked to him about my problem with a heavy, almost non-stop period. He told me to wait things out and give my body time to adjust. I would say it probably took about six months for me to get a completely regular period. Things have finally normalized for me and many of my other PCOS symptoms have vanished. I have also lost 95 pounds. I don’t know if what you are dealing with is the same thing that I have fought, but I hope maybe that helps. This explanation may be helpful. Hi Brooke, I have had a similar case myself and from super sleuth detective work I have read the following information out there…..I do not know if this is true at all (but because people use the keto diet to improve fertility, I do think there has to be truth to it) OK….so oestrogen can be released from fat cells when they break down so this means there is extra going about in your body. This often triggers a cycle as a result! I’ve had two in less than two months and they are the first in years! wow, this is interesting. I’m a week in and have lost weight already (but I have around 90 to lose). I had a hysterectomy about 9 months ago which left only ovaries. I have felt awful the last 3 days….weapy, racing thoughts, and sweating alot especially. I wonder if it’s because of an estrogen rush. I’m not menapausal yet and don’t take hormones. I am not sure if I’m in ketosis, but I hope so. My first mistake was taking the advice of a fitness “guru” who said to drop my water intake by half each day, for 6 days. I was on day 4 and so dehydrated I felt like I was going to go crazy so I let myself have some water. It made the dizziness go away somewhat. ALSO, I am not sleeping well yet. The first day I went on this style of eating I started sleeping much worse. Hoping it adjusts soon!! PS: I can’t figure out how to add exercise to the MyFitnessPal program. I don’t know how to calculate calories used, etc., so for now I have just left it off! Mabe a FitBit? See my comment about the meetup groups! OK, its three weeks since my last post, and I am still kinda frustrated! I lost seven lbs right off, and there it has stayed. I got MyFitnessPal and am ready to loft it at the nearest wall. It sounds like a great concept, but I find it not very user friendly. If any of you use it, maybe picking brains will help. For example, I must re-set my goals every day or it puts me back to their standard. Also, I prepare most of my foods and their lists include few of what I need so that I must enter “new” foods often. That said, since my diet is pretty stable, it might get easier when I have more of my own recipes in there. I am not ready to abandon it yet, but it sure is annoying in the beginning. I’ll keep on keeping on for now and let you know how it goes. Otherwise, learning new stuff every day, and have discovered that there are things I have the energy and the motivation to do, but lack the strength. I am adding strength training to my Curves workouts. Once a week I do a “high intensity” workout at Curves, by doing each station full tilt boogie for 30-45 seconds, then walk around for 45-60 seconds to recover. I go around just once at this rate. (This is my modification of Dave Asprey’s recommendation.) I do have to find a time when there are few people there so not to get trampled, but it seems to be helping develop strength. I’ll go to weights later, when I am stronger. Meanwhile, I am so glad you are here. I would love to find a local group, (or even person!) but for right now, you are my lifeline! Yes, MFP is a bit of work in the beginning! But after a bit you will see that you can just select foods off the ‘Recent’ list or Frequently used food list. As far as the exercise, look at the Blue Tabs on top of the screen. Right beside ‘Food’ click on ‘Exercise’, and then ‘Add Exercise’. I usually just find the closest thing to what I did. If you like Face to Face meetings of people doing what you are doing, try a search on Meetup.com. There are meetup groups for just about everything! I’ve been to a few for other reasons and they are awesome. You can search your city and put in the topic low carb, keto or even just weight loss or health. Good luck! great job on making a change for yourself…it takes serious will power. You look FABULOUS in your Minnie Mouse shirt, by the way. What a difference! Can you tell me how to get my portrait to go with my comments? I feel weird being one of those video-game-looking thingies. Or whatever they are. I like seeing people’s faces. awww, thanks! I think my picture comes from my gmail settings. I seem to remember uploading a picture in there someplace. I usually have to ask my son for help in these things and then of course I forget how we did it. But go check out your gmail account settings, it’s a wheel thingy in the top right corner. I’m sure I am of no help, sorry! Thanks for the heads up about that! I really want to lose more weight before my surgery, I am pretty sure that it will make recovery easier. My NP and I just started on Atkins 20 program (I am exactly 100 pounds over weight, with lots of complications due to the weight); then my sister turned me on to “Keto-eating”. It makes a lot of sense to me to eat a bit less protein than suggested by Atkins, and more healthy fats. My health problems are so serious, I HAVE to consider bariatric surgery, but am giving the dietary changes my very best shot for as long as I possibly can. Am VERY metabolic-resistant, and limited for exercise due to knee problems. KW, what were you able to do for exercise, when you were at your heaviest? Am loving all your recipes I’m seeing on Pinterest! haha, ya that keto flu! Well I did a lot of foolish things at my heaviest which has resulted in a torn meniscus and I’m waiting for a knee replacement. Hint, don’t take up running! The best things to do with a knee issue is stationary bike and aquafit. I bought a recumbent bike from craigslist for $20 and I’m really happy with it. Oh and good for you for getting started. Whether you have bariatric surgery or not, staying low carb and keto will be a great way to eat for the rest of your life. It will save your life! best of luck to you! I’m afraid I yo-yo. Back up high and starting yet again. Love your meal ideas. Hopefully they will keep me on the straight and narrow. Day three – wish me luck. Hi I find you very inspiring. Can you tell me do you count calories, macros, protein and net carbs?? It ebbs and flows depending on what’s going on in my life. When I feel myself getting a bit loosy goosy and carb creep is setting in, then I go back to counting. I just find that over time I can easily lie to myself about how I’m doing and so I’m not too proud to admit that I have to count again! Good Luck.. Every day gets easier and better! I am looking to start the egg fast and was wanting to know how much is the average people are losing on this fast? My first goal is 86lbs which I know is not possible with this diet alone…I have major carb loving issues and need to fix that!!!! You might want to start off with just regular low carb before trying the egg fast. Many people get pretty sick with keto flu the first time they attempt low carb high fat (LCHF). How much you lose will really vary because of so many things! In the Egg Fast group I have seem anywhere from zero to 12 pounds in the 5 day egg fast. Congratulations on your success. I started in 2013. I’ve lost about 80 lbs – had lost close to 90, but I got stuck and wasn’t losing any for months! Then, I lost my motivation and I’ve gained about 10. I am quite frustrated. Before losting my motivation, I was eating about 20-30 grams of carbs daily, protein and fat intake was good, fats at about 60-70%. I walked 3 miles per day, and weight resistance 3 x weekly. It was the RARE occassion that I ate anything I shouldn’t. I maintained but did not lose. I went from 295 to 213 and then hovered there. I’m now 226 this morning. I was on meds too but have weaned off of those since I was stagnant. Any advice for me? Would be so appreciated. BTW, love the recipes. Congrats on your success too! It seems like a lot of us hit this wall! I find that every now and then I have to really get back to basics and do what is basically Atkins induction. Carbs below 20, protein and small amount of veg. Severely limit sweeteners, cheese, nuts, etc. Do that for a couple weeks to get back on track. Hope that helps! I’m sorry I don’t know anything about uterine fibroids. But a low carb/keto diet will help you lose weight if you have weight to lose! And that is always a good thing. I would love to follow your posts but I’m unable to find a email sign up or a wordpress follow button. I don’t do pinterest or twitter. Are you on Facebook? I do have a facebook page where I post my latest blog posts. Greetings! I’m reaching out to let you know about my latest book: The Big Book of Healthy Cooking Oils. Although the main focus of the book is explaining the value of unrefined oils and fats, the content and recipes are also​ keto- and Paleo-friendly. Coconut oil is used as the main oil in about half the recipes, and then the other half feature a variety of oils, from roast chicken drippings to avocado oil to walnut oil. Each section is accompanied by an explanation of how to use the oil (heat tolerance and flavor characteristics being the most important factors to consider), plus there’s over 40 pages of information at the front of the book about oil refinement, why it’s a good idea to avoid refined oils and embrace unrefined oils, and how to choose, use, and store saturated fats, monounsaturated fats, and polyunsaturated fats. The recipes also feature pastured animal products and ​natural sweeteners–I do not use white sugar in my recipes. And because the recipes are keto- and Paleo-friendly, I also focus on nut and seed flours rather than grain flours. The Big Book of Healthy Cooking Oils from Page Street Publishing is available wherever books are sold. Healthier Gluten-Free is available! Get your copy hot off the Fair Winds presses. ok, this book sounds pretty amazing but most people won’t see this comment. I’m going to do a blurb for you on my Facebook page, I have about 14,000 followers there. Thanks for writing it! Hi fellow keto dieters…I’m doing really well so far on keto lost 4 kilos in 13 day, having fun challenging myself to cracking the code of 70 25 5. I’m going interstate for 4 days to celebrate my sister’s birthday this will be the test socialising with my family party food birthday cake….big sigh…I find myself always avoiding social events when I’m focusing on losing weight. Don’t throw away your amazing result to some lump of chemicals on a plate! I find that in a family gathering, if I keep myself busy helping others, I do way better. Good luck! When I first started Keto I lost 30lbs total and then plateaued. My weight was good and I decided to settle with it. I think all I really needed was to tone up a bit by exercising. Then my friend introduced me to Isagenix and told me to give it a try. I did it for 2-3 weeks and ended up gaining 10lbs, so obviously it wasn’t for me. When I went back on Keto, I was not able to lose the weight again. I felt really stuck. Then I went on vacation and are whatever I wanted and gained another 10lbs. Since coming back I’ve been back on Keto consistently for 3 weeks. I stayed at around 25-35 net carbs a day. I lost the 10lbs I had gained from vacation within 1.5 weeks but I can’t seem to lose that pesky 10lbs I gained on Isagenix. This past week I’ve cut my carbs to 15-20 net a day and drink 8 cups of water a day after reading that this can help. I eat higher fats and a moderate amount of meat and dairy. I also cut out Atkins bars completely way before now after looking at the ingredients. What am I doing wrong? Did Isagenix ruin my metabolism? I will try carb cycling to see if it kickstarts my metabolism. I have the Keto test strips and I’ve maintained Ketosis this whole 3 weeks but no weight loss. Still stuck with the extra 10lbs plus it would be nice to lose another 10lbs on top of that. All of those processed foods like shakes and bars really can stop people from losing weight. I don’t do net carbs, it’s too deceiving. 20 carbs is the max I can do to show a loss, not net 20 but 20. That pretty much means none of the extra foods that people freely consume on low carb and then wonder why they don’t lose. So maybe try that? I’m with you! Net carbs are not for me. I read Dr. Bernstein’s book. The edition I read said 4 carb grams at breakfast, 5 for lunch, and 5 for dinner. If we really need to lose weight (clinically obese), we need to cut down drastically. High fasting blood sugar is the defining symptom of the need for a very low-carb diet, and “net” carbs don’t belong and won’t work. Thankyou Hazel, that breakdown is helpful. Oh I feel your pain, do I ever! I am 57 and I have to fight for every ounce. I also only lose when I’m not eating dairy, which I have found hard to deal with. So sometimes I lose nothing for weeks on end because I am eating cheese and cream. A soon as I have a few days without, the scale drops. So I know how to speed up my weight loss, just not always willing to do it! Glad you found low carb, just keep at it. Doris, I hope you’ve stuck to the low-carb routine and by now are down a significant number of pounds. I’ve been on low carb for 6 years, am now much slimmer and much healthier. It’s worth doing, and maintaining for a lifetime. Thank you for the amazing recipes!! I have been eating low carb for 3 years. I lost 30 pounds, and have maintained that for 2 1/2 years. It really does become a lifestyle not a diet. I am 67 years old and last month after my yearly physical and blood tests, my lDoctor actually wrote the word “ideal” on the test results. Sugar is the enemy for sure, including bread, pasta and anything made with flour. I have a carb up day every week or two where my husband and I split a dessert or eat some chocolate with a glass of red wine. It has never been a problem. We eat out a few times a week. We only keep fairly low carb snacks and veggies at hand for ease at home. The packaged “low carb” snacks are so filled with chemically sounding stuff I generally steer clear of all that…I weigh every other day and remain at 110-112. I hope my journey helps someone realize this is such a healthy and eventually easy way to eat the rest of your life. Good Luck! Thank you for such an inspiring comment! It is hard for mid life and older woman (I am one as well) to lose weight, keeping it off is even harder. Thank you for this inspiration! Just finished reading your site, thank you for sharing. I am in my fifth week of Keto-eating and am noticing my deodorant and antiperspirant isn’t working. Do you have any suggestions? Have you tried matcha green tea with stevia, or some other supplement containing a lot of chlorophyll? It seems to help me with the same issue. Is that considered keto friendly? Someone else just mentioned Matcha powder to me last week! I’m going to look into it, I don’t know anything about it yet! Thanks for your comment. I had noticed an odor once when a.not drinking enough water,b.not eating enough fresh veg and c. When I was in ketosis the first time. When I fixed a. And b. The odor issue left. Hi, I am a 52 year old women and had metastatic thyroid cancer removed 1 1/2 years ago and have gained 30 lbs since. I have tried everything! Weight watchers, ideal protein, nuts system, personal trainer twice a week yet I cannot lose anything. I started LCHF 4 weeks ago and have managed to lose 3 lbs. are there any tweaks that thyroid compromised middle aged women need to do for success? I have searched everywhere and cannot find this answer. I appreciate any help. Cathy, first thanks for visiting my site and congrats on starting low carb! I myself don’t know the answer but there is a facebook group called MidLife Women doing Low Carb that probably has someone who knows. I hope you find some answers! I’m in a similar situation. It took me three years after the surgery to feel like I have the energy to go to the gym! I have been completely off grains for quite a while as I become gluten intolerant after the surgery. I’ve also been off sugar for nearly three months (except for an occasional small amount of maple syrup, and a little dark choc). I’ve also been following the LCHF diet for the last 6 weeks. Weight loss is very slow, but swimming has really helped, especially with the arthritis in my knees and feet. I know I’ve lost inches, just struggling with the weight. (I need to loose 50kg!). So, I’m going to try this egg fast and see how that goes. I think I have the same issue as keto woman with the dairy. I know I should try and go off it as well to see what happens, but I just can’t yet! I’m sure it would reduce inflammation as well. Anyway, hang in there, and try the egg fast. Also, something very important I learned after the surgery. The thyroid medication can deplete you of vitamins and minerals, so you really need to replace: multi B, Magnesium, Zink, and Selenium is very important too. Good luck. Ketogenic diet is worth a try; withhold what cancer cells require for growth (sugar). Hi I am 67 yo woman, had thyroid storm 2 yrs ago, from Grave’s disease,very hyper thyroid, nearly died from the complications,, lost 50 lbs the hard way. Couldn’t put on any weight eating like I was 3 people, then thyroid shifted, and the lbs started to come back on, have gained 40lbs, diets wouldn’t work.Had thyroid removed Mar 2016. Have started Keto and Intermittant Fasting….helps boot up the metabolism. ,and takes away cravings. I don’t get on the scale yet because its discouraging, but feel better in my clothes. It really does work.. I heard about it from Butter Bob Briggs on youtube…. check him out. I did further research….and I was really amazed. Hope this helps! If anyone has ruined their metabolism from regular dieting, Internittant Fasting is like a mortacle! I agree, I am experimenting with some IF as well. It seems to help the scale budge a bit more for me. Thank you for sharing your experience! Thank you for this site! I can’t tell you how **frustrated** I am by alllll the advice on dieting, health, fitness, etc., that comes from the under-30 crowd. At 30 years old, I was often asked how I kept my figure. But at 57 post-menopausal, adrenal fatigued years old, my figure is more like a barrel than hour glass. All that said, I’m excited to find that you’re also in your mid-50’s and on the ketogenic journey to losing the extra pounds. I have 65 to lose. It isn’t coming off quickly, unfortunately. I’m not cheating. At all. But I’ve been STUCK for 11 days now. Stuck! I’ve done the Fat Fast which helped some, but only did it for two days and didn’t really see any benefit. Husband and I joined a gym and have been going regularly. In our 50’s with injuries, we’re not exactly gym beasts, but at least we’re moving. Open to ideas, suggestions…anything that will help! haha, you sound just like me! I know your pain, believe me! But you are on the right track with looking at Keto and getting more movement into your life. If you are on Facebook come and find our Mid Life Women doing Keto group! Thanks for visiting! sorry, I saw you other comment and left the exact link to follow! 5 weeks and 5 days later, I’ve lost 17lbs. We have tried every fad diet, every pill, every shake, you name it we’ve spent the money on it. THIS ACTUALLY WORKS!!!!!! My only complaint is that I had headaches really bad the 1st 3 weeks, better now but still have one daily and my legs have started cramping in the last week…other than that I feel amazing, I have tons of energy and the best part is that my clothes are already starting to fall off of me!!! Those results are amazing and so great that you have someone to do this with you! Definitely those 1st couple weeks can be hard, we call it Keto Flu! Glad you made it through that! Magnesium citrate supplements will help with the leg cramps. Check out Art and Science of Low Carbohydrate Living by Jeff Volek and Stephen Phinney for lots of information related to low-carb. I have had great relief from inflammation and arthritis in the 3 months I’ve been using a low-carb plan. Lost some weight, too. If you have leg cramps, add salt. I can’t explain it, but I read it, I tried it and it works. Yes! I even now keep a small container of pink Himalayan salt crystals on my bedside table. If my legs start to feel like they will cramp, I put some under my tongue and it works in just a few minutes! Yes, I’m using a magnesium powder now and it works great. I also keep a small container of large pink salt chunks beside my bed and if my legs start to feel funny I pop a couple under my tongue. For the headaches and cramps you need to add pink sea salt. It really helps! And magnesium! We are all magnesium deficient! Have been on lchf way of eating only a few weeks, doing well. I get headachesand cramping, too. It was suggested to me to sip dill pickle juice, I know, sounds terrible, it’s not, and it works! Hi. 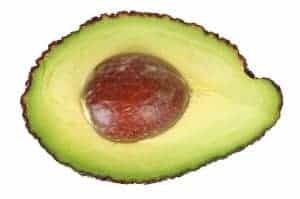 This isn’t a little late, but if you read this article about how we need to focus on electrolytes during keto, it will help with leg cramps and other keto flu symptoms. Good luck! I’m really wanting to start this lifestyle. I just found your website and wanted to thank you for helping me decide to start. I am at my heaviest weight in my life and it scares me. Thanks again and wish me luck. I do wish you luck! Keto/low carb has succeeded for so many where other eating plans have failed. I hope you love it! hello 🙂 I just started my 4th week on Keto diet yesterday. I lost 13 lbs my first 2 weeks then gained 3.6 last week. I was very discouraged. I have stayed in my 5% carb / 75 fat/20 protein and even count my calories…1350 a day. if I exercise I sometimes add some of those calories back in but stay in my ratios. Do any of you count your calories? I am trying to figure out what I did wrong last week an am not sure if I need to cut my calories more but all the fats are high in calories so it doesn’t take much for them to add up. thanks for any advise. I kind of have to watch calories but that is because I’m in my mid fifties and have a pretty messed up metabolism. It seems that some people do and some don’t. I also think that people should be careful about 5% carbs because while 5% seems low, it is actually better to count carbs as grams and not %. Stay under 20 grams a day, no matter what % that turns out to be. Lana, do not give up. I started the keto diet about 8 weeks ago. I have lost 22 pounds. I do measure all my food. If you cut food cut protein and carbs first. I do not know the percentage. I go strictly on grams. Total of 20 grams carbs a day. I count the carbs in cheese, sour cream, advocadoes. You would be surprised at how much carbs are in things like celery. I ate 2 oz of pork rinds, they have 0 carbs. They do have about 15 grams protein. That put me way over my protein allowance. I eat two eggs per day and then 3 oounces of protein spread out for the rest of the day. The rest of my 1500 calories are fat. Somewhere I have read that cutting back more than 1500 / day is counter productive. I can not remember the sequence but basically your body believes it is in starvation mode. It then works against your glucagon releasing the fat for energy. There are are two other things to consider. 1. the first weight is usually water weight. 2. As your body starts changing you will be getting more muscle. It weighs more than fat, but it will burn fat. Do not be afraid to eat the fat. That is what triggers your body to change from using glucose to using ketones for energy. Dietary fats prime the pump. Counting calories is for low-fat/low-calories diets. If you lost the first two weeks and then stopped, try reducing carbs for two weeks and see where you are. We (including me) who fatten on carbs need to keep carbs very low. Try no more than 5 carb grams per meal for a while. Hello all the keto-lovers and curious ones! I started my Ketogenic diet around end of November and I just turned 2 months this week. I congratulate everyone that is following a Ketogenic diet. It’s an amazing diet and a wonderful lifestyle to follow. I thought carbs were necessary for a human life but when I found out that they are not, I immediately looked into it which lead me to the keto diet. I have chronicled my journey in my youtube channel. So far, 24 videos in English and I also put up about 16 in Spanish for those that don’t speak English or for those with parents or family that is Spanish speaking. Good luck everyone and stay in Ketosis! MMMMMmmmmmmmm!!!!! Keto Coffee is da shadizzle! Been keto(assuming the purpleness on the strips isn’t fibbing) now for just over a week,lost 6 lbs then put 2 back on(assuming this is from weightlifting as it makes you hold water in your muscles).I add a spoon of cocoa, a pat of Kerry gold butter, a bit of cinnamon and a table of coconut oil.I drop it while it’s hot 🙂 into my ninja blender single serve to whip it into shape.Energy in 10 minutes and keeps me from thinking about food for several hrs yesterday was 7hrs and I thought HOLY SHUT THE FRONT DOOR! I forgot to eat! The norm is to skip shower,work,life before I’d miss a chance to eat! BTW does anyone else have a warm fuzzy feeling in there belly while in ketosis? Hi, I really like your website, your approach to Keto/LCHF, and your recipes:-) I just launched my LCHF blog and I would very much like to add a link from my blog – section Resources & Inspiration – to your website. Would that be OK? Hi, that’s great, we need more information out there! I look forward to reading your articles and am honored to be a resource. Thanks for your support! My daughter has been on the ketogenic diet for 10 years to combat seizures, she is now 18, does anyone else have experience with ketones dipping pre-menstrually, and if so how have they combatted this? Hi, I just started Keto and I’m having a hard time getting my fat past 65%. I’m allergic to coconut and I can’t use coconut oil. Any suggestions on a good oil substitute. Hi Tiffany! Have you ever tried Kerry Gold butter? I love it and if you add that to your meals as much as possible, it is delicious, you will get your fats up and this butter is from grass fed cows. Very good stuff! I have been on the keto diet for the past week and i found that i was having difficulty with movement. I had to take laxatives the other night. Is this normal for my first week or could i be doing something wrong? Also, what blood type are you? I am blood type A and i find that i cannot digest white or red meat as easily as plant based protein which are not suitable for the low carb keto diet. Hi Mel. No, I don’t think that is normal. I use coconut oil, it seems to act as a natural laxative for me. If you are getting enough fat your BMs should be normal. Are you tracking your macros by any chance? I strive for 80% fat. I have no idea what blood type I am! Sorry! Hi Mel, Forget about which blood type you are. Instead, you should think about your gut (intestines). Eat FERMENTED veggies like Sauerkraut and cheeses like Labneh (found in Middle-Eastern and Greek supermarkets). The sickness will stop. No need to tell you to stay away from “Activia” commercial foods…(and Dr. Oz!). My sister has problems with digesting beef. An alternative doctor gave her enzymes to take before meals. Also the old book protein power suggested marinating the beef in wine and olive oil for at least 24 hours before cooking. My sleep doctor put me on a diet very similar to what I found here on your site. I am excited to learn more and find different ways to eat. I’m not sure about studies done particularily for Keto and the brain, but certainly coconut oil which is a big part of my Keto eating plan. There is a link to a video in my coconut oil post that talks about this. I’m not sure how to leave the link here but if you click on the recipe tab and scroll down, you will find the Coconut oil post. Thanks Anita I will check it out. Your story sounds so much like my own, Keto diet is the only one that ever worked for me, lost 40 pounds over a few months. Loved hiking, have always had knee problems, screwed my knee on the teton mountain hike 12 hours half straight uphill gaining 5000 in elevation. Had surgery, a patella tibia transfer, off my feet totally for 5 months and lots of rehab…50 pounds wt gain and 1 1/2 years later. I quit diet pepsi X 6 months, working on quitting smoking, made it 15 days and menopause/depression/anxiety got the best of me. Not giving up though. Sure hope you are still going strong. Thinking about committing to this lifestyle. We fell off the proverbial bandwagon as well at Halloween. Dang those candies!!! My daughter has a brain tumor and this diet is essentially starving her tumor(s). I look forward to following your blog. Thanks! Oh wow, I will certainly pray for your daughter that this Keto diet will starve those cells! The research on this is so exciting and I wish more people had this information. Please let me know how she is doing from time to time if you can. In the meantime, I hope I can provide you some recipes to help keep things interesting. I too have started a Keto diet/lifestyle and I get a LOT of inspiration from http://www.reddit.com/r/keto you should check it out! Also, My Fitness Pal is a life saver when it comes to counting carbs/fat/protein. I have your blog favorited, I’ll be checking it out daily now! I too have considered blogging my journey (I have about 100lbs to lose too) but I just don’t know if I have the time between work/kids etc! I have lost 11lbs since Monday and feel great already! Good luck with your diet!!! That is so awesome Jennifer! I am currently at 12 lbs lost and I love MyFitnessPal. I have configured it to the Keto ratios I am shooting for! I will for sure check out Reddit. Thanks and please come back, we can help each other stay motivated! I really might consider this. Once I hit my 40’s my metabolism has slowed dramatically and my regular approach of eating healthy and getting daily exercise hasn’t stopped the extra pounds from piling on. Clearly, I need to make a change. I will definitely read more about this. Thanks! Stay tuned, I’ll be bringing a lot more information to the table! I am not familiar with the Ketogenic Diet but, I am really desperate of losing some pounds. Thanks for sharing! It has not really hit the mainstream yet, it’s mostly still considered a medical therapy for epilepsy. Bodybuilders know about it and love it though. Get her to read this article because I wrote it about seizures mostly. There is a link to a website in their for Moms whose kids have seizures. I’ve never heard of this diet before! I’m definitely going to research more information, though. My husband and I are trying to lose weight and get healthier together. I wish you the best of luck and can’t wait to read about your journey! Thankyou, I appreciate all the support! I haven’t heard anything about this diet. I am eager to see how it goes and what it is exactly. Good luck on your weight loss journey, I look forward to reading about your progress. Thanks for your support, I’ll keep everyone posted! Will enjoy following your progress and what you share. I have been reading a lot about the benefits of Coconut oil and I saw on your home page that you have also noted this. Yes, coconut oil is an important part of my daily plan! Thanks, I will be posting regular updates! I have never heard of that diet. Good luck on your journey!! It’s nice that you’re sharing as you go. Good luck to you and I look forward to reading more. Yes, I will also teach as much as I can as I go along! Yes, it’s a little scary but I am feeling motivated and excited! This is very interesting. I dont need to “diet” but would like to eat healthy. I am checking this out! Just looking for support and I appreciate all of it! Thanks, it seems like people can relate! I will be posting regular updates, Thanks for your support! Very cool! looking forward to following your journey. I have never heard of this diet before but sounds like it could be a good one. I’m always looking for healthier ways to eat. Good luck with your action towards Keto Diet. I’ve never heard of this. Go girl! Thanks for your support, I am going! I hadn’t heard of this diet before but I am anxious to see how it goes. Good luck! Hmmmm. I have never heard of this diet but it sounds interesting. Congratulation on taking this step to improve your life. I keep trying to lose weight but fall of the wagon after a few pounds. Luckily I havn’t gained any of it back. I will have to try get back to my weight loss goals though. keep us posted on how well this works for you. Thanks for your support, I will be posting regular updates! I’ve never even heard of this, but I hope it works well for you! Long way to go yet, but thankyou! I have never heard of the Keto Diet but I bet I do it and don’t even know it. I did the candida diet and it works very well for helping to get candida out of the body. I still follow it to a point, but am not as strict as I used to be. Now that I am healed, I don’t have to be strict. Yes, I am hoping to be able to dial it back a bit as well once I get going. Thanks for visiting! I have been struggling the last year to lose weight. Never having had a weight problem before I am finding it difficult. This diet sounds interesting, I will be checking in to see how you are doing. Best of luck! Yes, this is my way of having accountibility! lots of people checking on me! Thank you! Awesome, thankyou. I’m going to need a few cheerleaders! This sounds like something I’d be interested in doing. I’ve been trying to lose about 15lbs for the past 18 months. Not only will this help in my weight loss but it’s a healthy diet as well. Looking forward to reading more. I applaud you for taking such an important step in order to improve your overall health. I would love to see you lose the weight that you are planning on losing. I’m sure you will feel great afterwards. Yes, I feel very motivated and putting it out here publicly is hopefully going to help me as well!